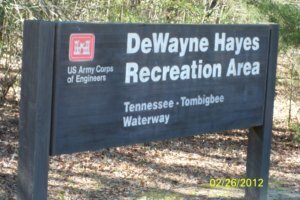 DeWayne Hayes Campground is named for Pfc. Loyd DeWayne Hayes in 1986. He was a member of the 145th Engineering Battalion of the Alabama National Guard. This 20 year old was in a fatal accident while working at the opening of the Tennessee-Tombigbee Grand Opening Ceremony on May 27, 1985. This beautiful RV park has all the modern facilities which make it feel like home. 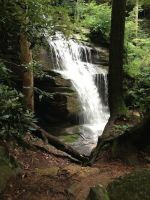 Campers have the opportunity to enjoy the natural beauty of the Tenn-Tom Waterway. The timeless DeWayne Hayes Campground is a 100 site Class A facility. 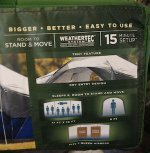 Along with the standard camp site, you will find 10 primitive camping sites. The Day Camp Area is a great place to bring the family for the day. You can enjoy fishing, picnics and play courts. This is the Sprayground. It is a new feature for cooling off in the outdoor heat. This thing sprays water all around and it is FUN to play in. You can't beat that for entertainment! There is a great view of the Tenn-Tom River and lots of activity in the water from skiing to tubing. Great for all ages and all events as you can rent the picnic shelters for a minimal charge. DeWayne Hayes Campground is just a few miles from Columbus, Starkville or West Point, Mississippi. You will find some great restaurants and lodging in each city. Columbus is the home of Columbus Air Force Base. Each city has adequate grocery stores, hardware stores, bait shops, hospitals, pharmacies and shopping centers. From Columbus (MS): take US 45 north to the junction with US 373/50W. Turn left and follow US 373 for 1 1/2 miles to the junction with Stinson Creek Road. 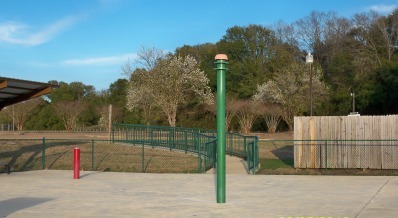 Travel 2 miles to Barton's Ferry Road and turn left. 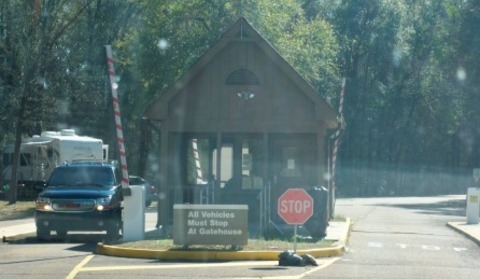 The entrance to the park is about a 1/2 mile. From Tupelo (MS): take US 45 south to the junction of US 373/50W. Turn right and follow US 373 for 1 1/2 miles to the junction of Stinson Creek Road.